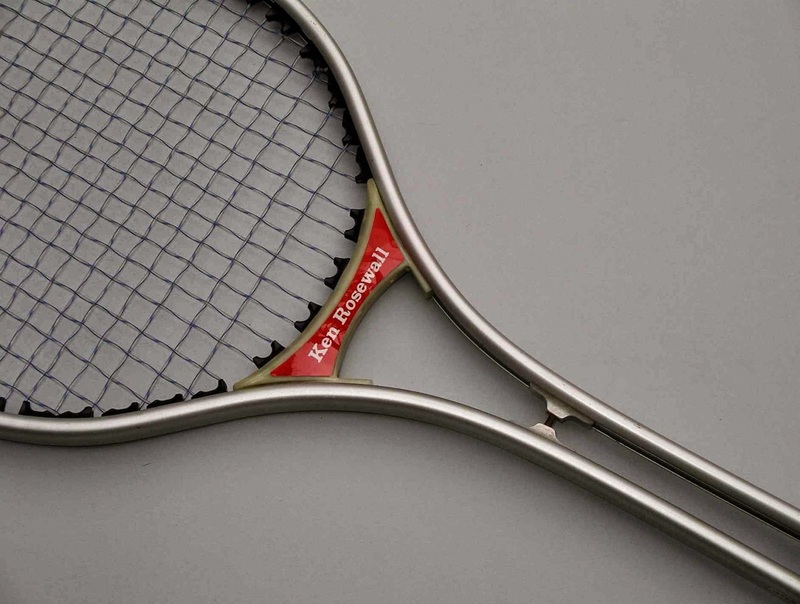 Whose name was on the first aluminum frame racket with inlay stringing (no outwardly exposed grommets or strings)? I’m not certain this was the very first aluminum racket, but I loved it. Visually it made sense to me being that I was a scrapper and digger and had no problem occasionally taking up some court surface with my racket. It was some time back in the 70’s (my teen years) - I saw one (made by Seamco) in K-mart, took it out and hit with it and came back for another the next day, both for under $20. Everyone else was using wood or those T2000s, 3000’s or Twhatevers that resembled repaired fishing nets and sounded like one was hitting a dead squirrel with a rusty metal trash can lid when making contact with the ball – thud, rattle. I had this streamlined, all-weather (seemed so) minimalized jet fighter that could blast through brick walls. I believe I went pro that year, in my mind. 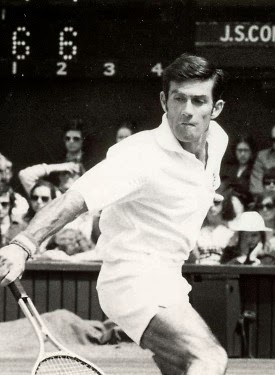 For those of you unfamiliar with Ken Rosewall or who were hatched in the last few decades, you can learn more about him here.